ProcessFlows’ Emergency Text Messaging Alert Solution at Merton Council automatically notifies engineers if a power supply fails, a network connection goes down, a server error occurs, or a heating problem is detected. Merton is a borough in south-west London, England. It was formed under the London Government Act 1963 in 1965 by the merger of the Municipal Borough of Mitcham, the Municipal Borough of Wimbledon and the Merton and Morden Urban District, all formerly within Surrey. The main commercial centres in Merton are Mitcham, Morden and Wimbledon, of which Wimbledon is the largest. Other smaller centres include Raynes Park, Colliers Wood, South Wimbledon, Wimbledon Park and Pollards Hill. 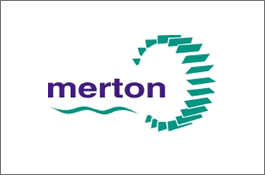 Merton Council’s IT department plays a key role in making sure that all systems run consistently and smoothly, with no downtime. Procedures that help resolve network outages and troubleshoot performance problems, have to be in place and working 24/7. Alongside these procedures there needs to be a robust, automated notification solution that warns staff of power, server and system problems. If a monitoring system detects a problem, an email is generated and sent out through the SMS server as a text message to the appropriate engineer. When an internet connection is available, an IP connection is used, if the connection goes down, messages are automatically routed through a GSM modem, ensuring notifications still get through. With the SMS gateway in place it was simple for the Council to expand text usage into other departments, without extra investment.